Thank you for supporting TrailLink.com. 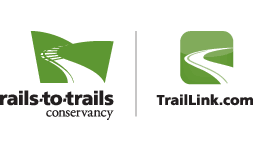 TrailLink.com is a free service provided by Rails-to-Trails Conservancy, America's leader in helping communities convert unused railroad corridors into public trails. Your contribution will help us to continue enhancing TrailLink.com features, connecting more people to more trails around the country. 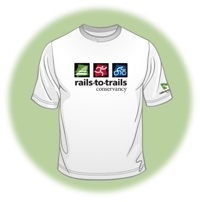 Give at the $18 level or higher and you'll become a member of Rails-to-Trails Conservancy and receive this great t-shirt. Visit RTC's financial information page for our annual report, IRS Form 990, financial registrations, and independent financial audit.